Nestled at the northern boundary of Murchison Falls National Park overlooking the Albert Nile, Fort Murchison is a legendary Uganda Safari lodge that dates far back to the times of the Arabs. Fort Murchison indeed stands as a carefully maintained serene out post formed at the time when the Arabs traders along with European explorers took up Africa Safaris including safaris to Uganda in search of profitable goods and unique physical features respectively. The lodge is distinguished by a massive tower, an earth colored walls and the Swahili touch with a unique roof top terrace offering panoramic views of the world’s longest River Nile and extensive savannah of Murchison. The roof top is perfect for a sundowner after a long day in the park doing game drive and river safari. 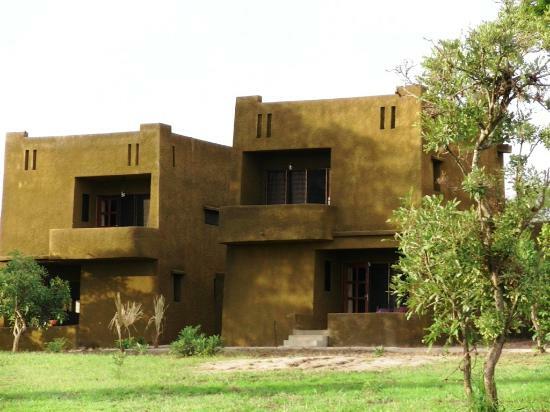 The accommodation at Fort Murchison is offered in mid market and budget setting so as to serve the diverse travelers on wildlife Safaris in Uganda. The Mid market accommodation is provided in rooms counting to twelve (12) in number all en suite with solar heaters. These rooms feature enough space, cozy bed, private balcony and a writing desk. For Budget arrangement, the accommodation is provided in tents non en suite marked with two (2) single beds equipped with mosquito nets, power out let and bed side table. The tents share a communal ablution with flushing toilet and showers. Interestingly, the lodge provide linen and towels. The main restaurant at Fort Murchison serves a four course dinner amidst the lush decor of Swahili inspired origin and the drawings of the ancient explorers’ experience. The restaurant serves fresh food got from own garden and Kampala. Fort Murchison is 5km to Tangi gate thus providing a good ground for early morning game drive activity in park with the gates opening at 7am. The lodge can as well work as a base for evening and night game drive activities on one’s Uganda Tour.